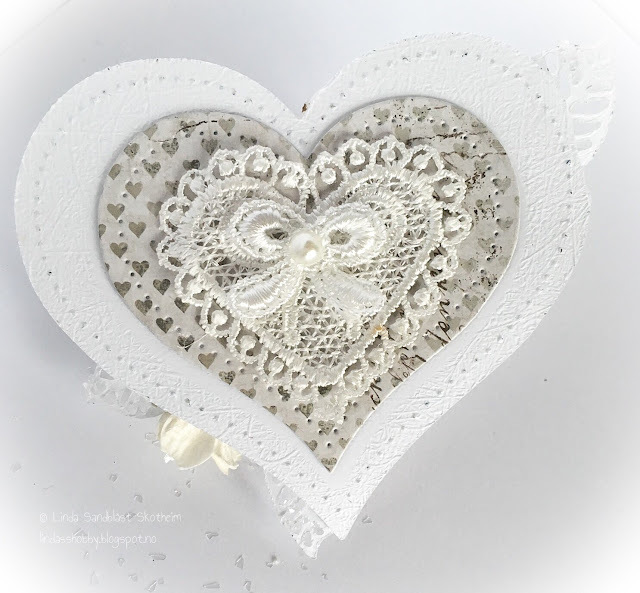 This evening I would love to show a small heartcard that I have made.. 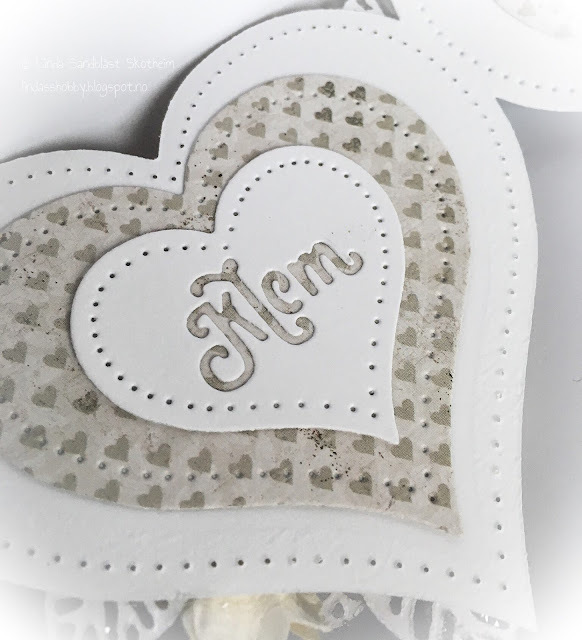 It is actually a simple card. 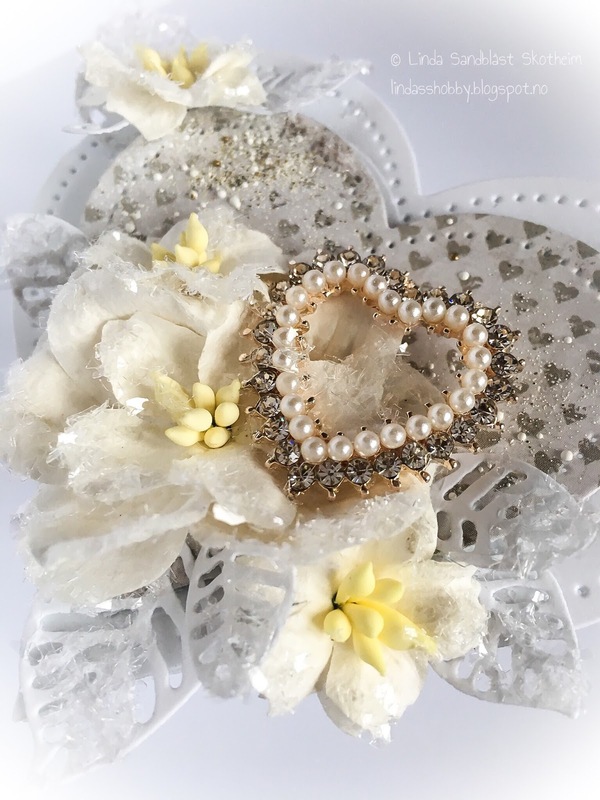 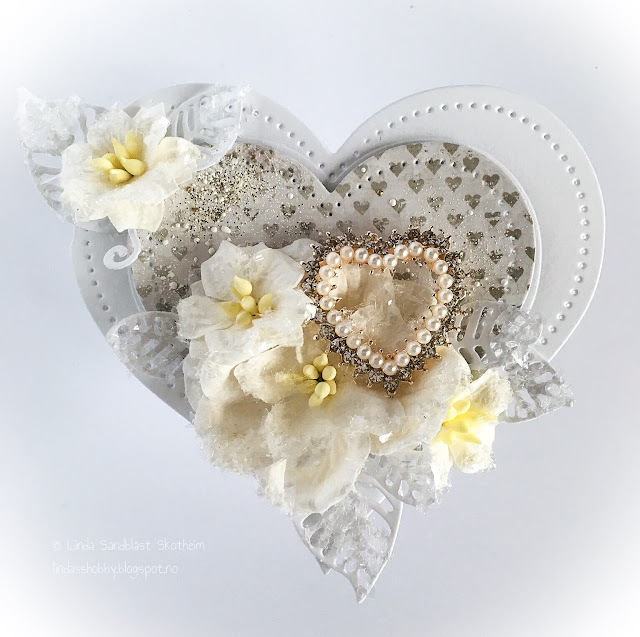 .I used the paper from the kit, as well as the amazing dazzled heart..
on the paper I have some embossingpowder, and on the flowers and lefs I have some icecrystals..
On the backside one of the leacehearts from the kit..
Beautiful card, perfect shape for an anniversary card too.